The Stoneham Coalition 5K Run for Recovery is a USATF certified course being offered as part of Stoneham’s annual Town Day. Both runners and walkers are encouraged to participate. All of the race proceeds will support the Coalition's mission to educate the community about addiction and provide preventative services. All participants will receive a race shirt. Prizes will be awarded to the top finishers. The Run for Recovery will take place on Saturday, Sept. 15, 2018 at 9:00AM. The race starts and finishes at Boys & Girls Club which is located at 15 Dale Court, Stoneham 02180. Parking is available on site and along Franklin Street. 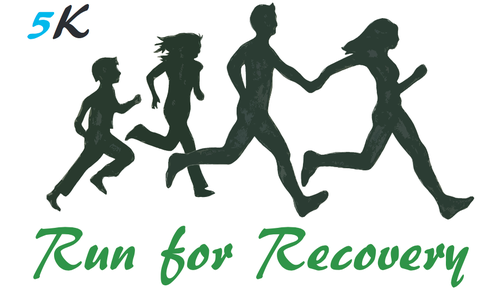 The 5K Run for Recovery is a community event and walkers are encouraged to participate, as well as stroller-friendly. Information regarding pre-race bib pick-up and in person registration will be made available soon. The Stoneham Coalition formed in an effort to address the epidemic of drug and alcohol abuse in our community. Substance abuse harms children, adults and families. The Coalition’s main goal is to educate and prevent addiction. For more information, please visit our website at https://stonehamsac.com/. Fee information can be found at https://racewire.com/register.php?id=9590.